Deluxe remodeled condo on the 2nd floor, directly ocean front on the beach in Kahana. May '16 updates included fresh coat of paint, new beds (king bed and queen Murphy/wall bed), flat screen TV in living room, light fixtures and decorative items. Watch the tides roll in an out and the palm trees sway in cool island breezes from the living room or lanai. Granite kitchen counters and updated furnishings complete a clean fresh feel to this, your home away from home on West Maui. The bathroom features a walk-in shower, no tub. Bring your CD's from home and listen on the player provided. Free long distance to US and Canada. The Valley Isle Resort is within walking distance to Maui Brewing Co., China Boat and Dollie's Café & Pub. Check out this condo! This one bedroom is a deluxe remodeled ocean view condo. Located on a sandy beach in Kahana, that is great for swimming, sunning and strolling. The condo has updated stainless steel appliances and granite counter tops in the kitchen. It has all new furniture including the king bed and queen sofa sleeper. Wood and tile floors give this condo a distinctive sleek look. Other finishing touches include a stone tiled bathroom, 42 inch flat screen TV and a Blue Ray DVD player. Also great, the resort is in walking distance to restaurants and shops. Free Wi-Fi and Parking included. Ocean front on the beach in Kahana. Bring your CD's from home and listen on the player provided. The remodeled bathroom has a large walk-in tile shower, no tub. Keep your valuables secure in the in-room safe. Rent Blu-Ray DVD's at the Kahana Gateway shopping center and watch on the giant 60" TV in the living room. Bring your laptop and enjoy free DSL or wireless internet access. Phone calls to the US Mainland and all islands of Hawaii are FREE. Corner ocean front condo on the beach in Kahana. Enjoy ocean front views from the lanai off of the living room and master bedroom. A flat screen TV coupled with the DVD player keeps you entertained in the evenings. Bring your CD's from home and listen on the player provided. Bring your laptop and enjoy free cable high speed internet access. Roll down shades in the living room provide afternoon shade. Deluxe remodeled condo, ocean front on the beach in Kahana. In addition to the 44 inch flat screen TV in the living room there is also a 36 inch TV in the bedroom. Bring your CD's from home and listen on the player provided. Wake to the sound of the ocean or use the alarm clock in the bedroom. Enjoy the free DSL or wireless internet connection provided. Deluxe remodeled condo with ocean views on the beach in Kahana. Granite counter tops and refaced cabinets in the kitchen compliment the updated furnishings. Let the answering machine take your calls while you are out enjoying Maui. Wake to the sound of the ocean or use the alarm click in the bedroom. 2 people maximum. Deluxe remodeled condo, ocean front on the beach in Kahana. Remodeled kitchen decor compliments the updated furnishings. Bathroom has tiled walk in shower-no tub. In addition to the TV in the living room there is also a small TV in the bedroom. Bring your CD's from home and listen on the player provided. Let voicemail take your calls while you are out enjoying Maui. Wake to the sound of the ocean or use the alarm clock in the bedroom. Deluxe ocean front condo on the beach in Kahana. Bring your CD's from home and listen on the player provided. 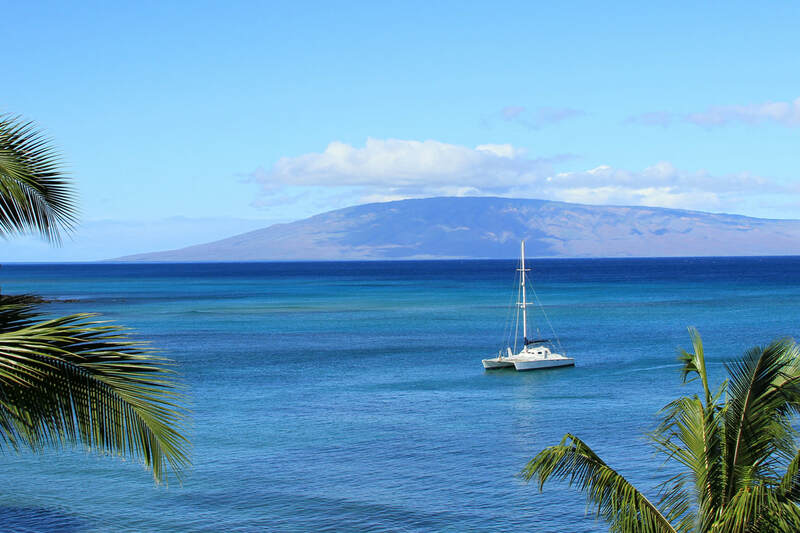 Let voice mail take your calls while you are out enjoying Maui. Bring your laptop and enjoy free cable high speed internet access. If you are musically inclined, play your favorites on the musical keyboard in the living room. Full size walk-in shower, no tub. Corner ocean front condo on the beach in Kahana. Enjoy ocean front views from the lanai off of the living room and master bedroom. Bring your CD's from home and listen on the player provided. Keep your valuables secure in the in-room safe. An answering machine can take your calls while you are out enjoying the island. Wake up to the sound of the oceans waves. Bring your laptop and plug in to free DSL internet access. Remodeled and ocean front on the beach in Kahana. Fresh paint, carpet, restyled & updated decor make this 8th floor1 bedroom a treat for discerning vacationer. Watch movies on the 32" flat screen TV in the ocean front living room. The bedroom has a 26" flat screen. The tiled & glass enclosed stall shower is gorgeous- but there's no bath tub. Bring your laptop and enjoy free DSL internet access. Kitchen remodel and tile floors through out ocean front on the beach in Kahana. Bring your CD's from home and listen on the player provided. Entertain yourself in the evenings on the 32 inch TV and watch your movies from home. Watch vibrant sunsets from the condo and lanai off of the living room and master bedroom. This is a corner ocean front condo on the beach in Kahana. Fall asleep to the tranquil sound of the ocean’s waves. Tastefully decorated with an island flare. Remodeled kitchen with granite counter tops. Also included in the condo is a DVD/CD player, washer/dryer and in-room safe. Bring your laptop and surf free cable high speed internet access. The resort is located on a soft sandy beach and is in walking distance to restaurants and shops. Free parking. 2 guests maximum. Deluxe remodeled condo, ocean front on the beach in Kahana. Granite kitchen counters and stainless appliances. Updated Hawaiian Style furnishings complete this location. Sit on the ocean front lanai and enjoy your favorite CD's with the player provided. With free wireless internet access you can bring your laptop and surf the web after combing the beach. This resort is located on a soft sandy beach and is in walking distance to restaurants. Let the answering machine take your calls while you are out enjoying Maui. This condo includes an in-house washer and dryer. Two (2) guests maximum. Penthouse: Remodeled corner ocean front condo on the beach in Kahana. Enjoy ocean front views from the lanai off of the living room and master bedroom. Keep your valuables secure in the in-room safe. Wake up to the sound of the oceans waves or to a the alarm clock provided. Watch sunsets and whales through the binoculars or telescope. Enjoy this relaxed ocean front Hawaiian style condo on Kahana Beach. Watch spectacular views of both Molokai , Lanai & Sunsets. Feel the tropical breezes off of the ocean. Smell the fragrant flowers. Stroll across the soft sand and dip your toes in the warm island waters. Now you’re in Maui. This is a one bedroom, one bath ocean front condo. It features include free Wi-Fi; washer and dryer in condo; a 32 inch TV in the living room and a CD player; the 23 inch LCD TV in the bedroom; in-room safe and free parking. The resort is located on a soft sandy beach and is in walking distance to restaurants and shops.